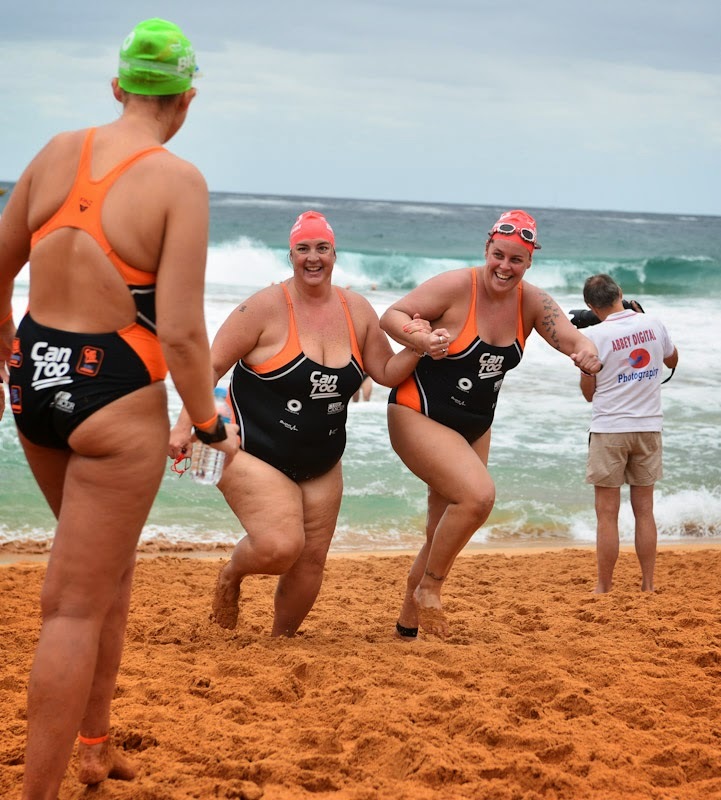 So it turns out there are well run 5km swim in Sydney. They’re just not well advertised. And held in Penrith. 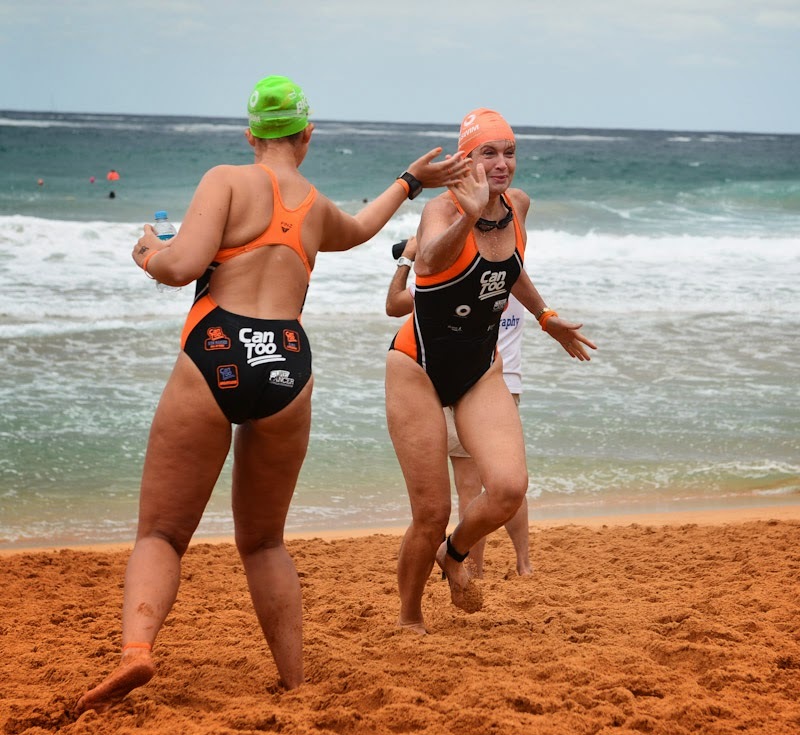 So Silpa and I faced the Little Big Swim with some trepidation this year. She was a trooper, facing 6 foot surf I struggled through in a wet suit. And she rightly pulled the pin when she stood of the precipice of getting out and got swept backwards by a big ‘un. At which point I faced one of the hardest decisions I’ve ever made. I was through the break, along with Margie and Kay and decided to keep swimming with them. Thank goodness for the Can Too coaches who stepped in to make sure Silpa was okay. Margie was off like a shot so Kay and I swam on, collecting friends and followers. Kay has phenomenal surf instincts and so she, Gail and I navigated the return break like pros whilst those ahead of us got completely, totally and utterly slammed by enormous sets. Such horrendous luck. Once we hit the sand bar the surf threatened to slam us again, but thanks to one of the Can Too coaches we navigated it with ease. Then we were running up the beach – smiles wider than the surf zone. My turn – Palm to Whale. Had another hard time getting out. But didn’t panic, took it easy, and despite badly misjudging the required depth, got out in reasonable time and was rewarded with making oceanswims.com. 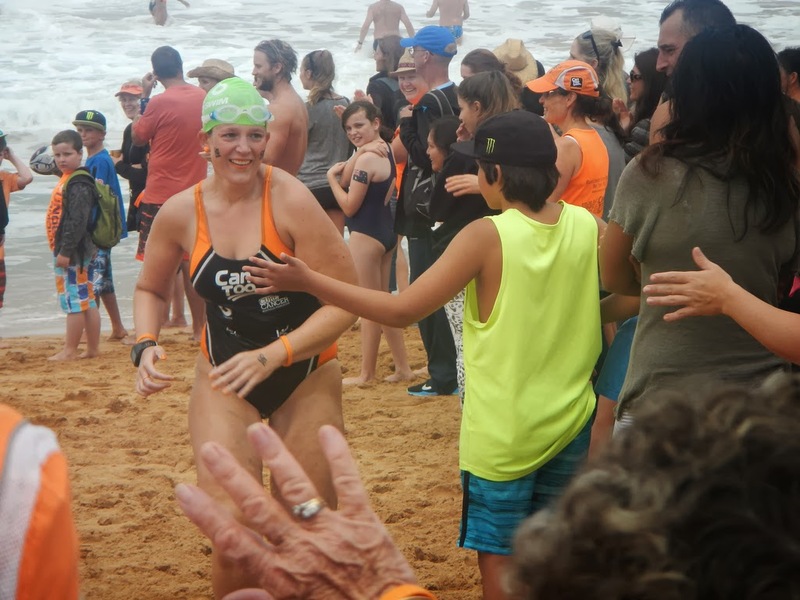 Basically – ocean swimming celebrity. Woot. Started reeling in those ahead of me. Caught Sophia going round the first buoy. Super smiley buoy. Caught Kellie as she was involved in a three swimmer pile up because some doofus didn’t look where he was going. Cheered Mel around the final buoy. And then I was home. And for the first time I’d enjoyed Palm to Whale. So it was all about the finish. Including a few double dips at finishing. These are held at the International Regatta Centre. The water is a bit manky and it’s fresh so no buoyancy assistance whatsoever. There is quite a bit of weed, which I imagine is much like being attacked by a Grindylow out of Harry Potter. Thus justifying post-race Hermione style hair. 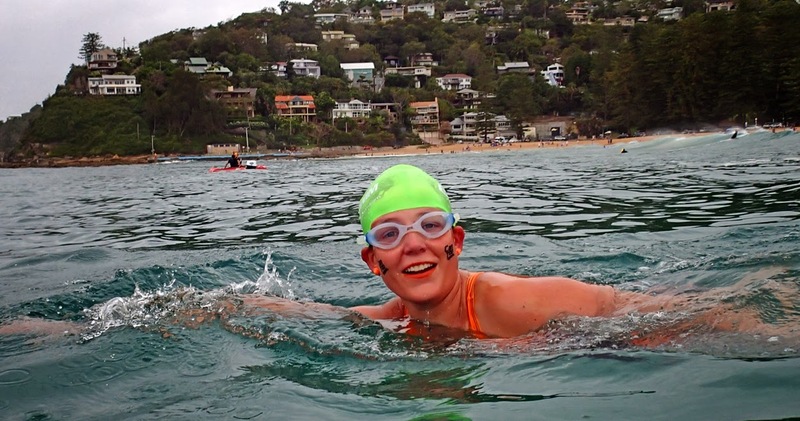 Bit tricky backing up after the Big Swim so I went out really easy from the deep water start. 3km loop followed by 2km loop. 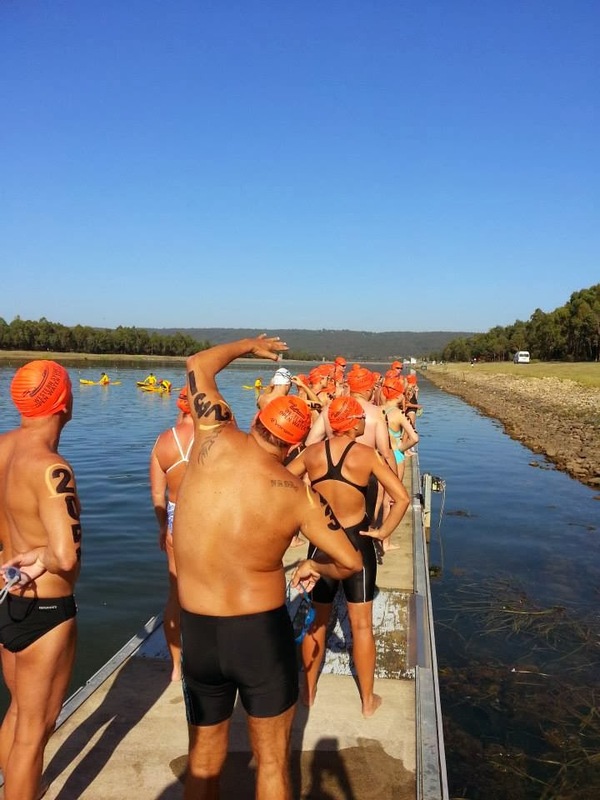 Was feeling really good coming into the 4th km and ramping up when, 60m short of the turning buoy water safety came up and told me that half an hour had expired since the winner crossed and my time was now up. WHAT THE? That makes the time limit 1:33. Jeepers! 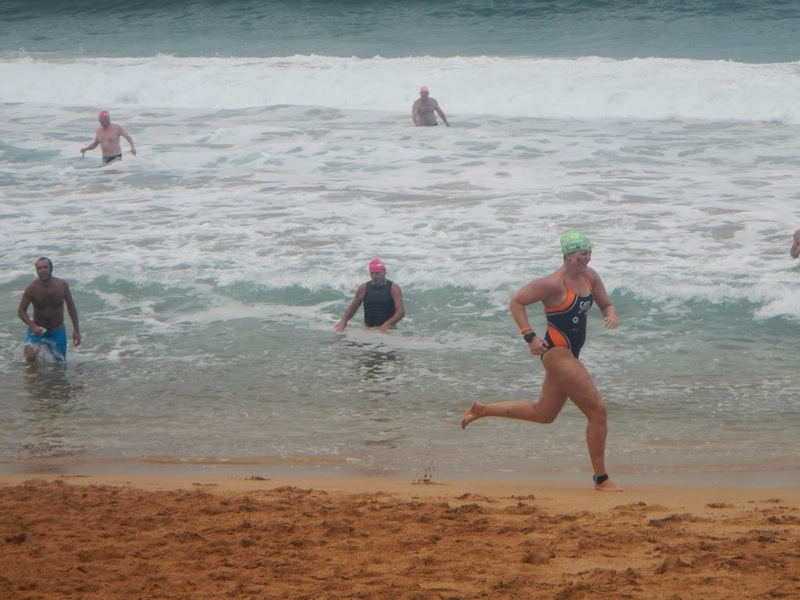 They let me swim home, and given I was then 100m short they not only recorded me as having finished, but I also won my age category in both the 3km and 5km swims. (Technically I guess I also lost my age category but whatever). 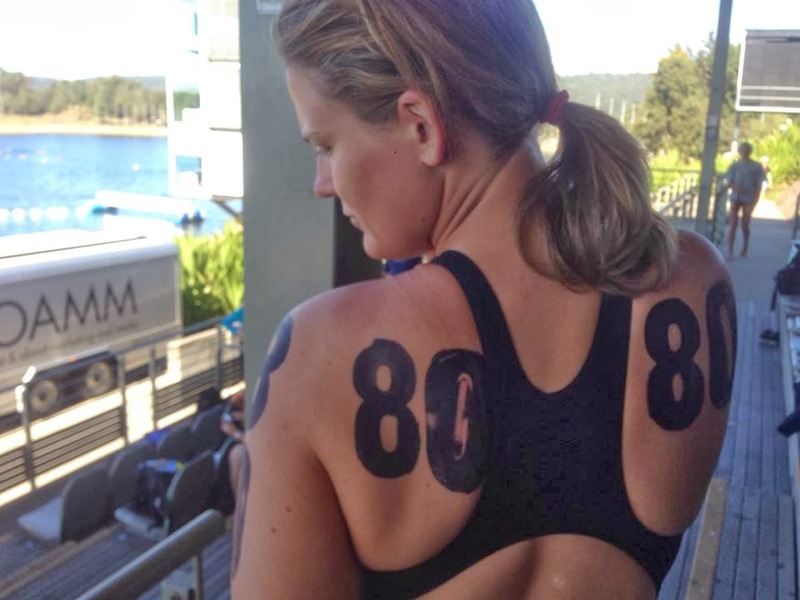 The second Penrith swim was the Western Sydney Open Water swim on 8 February and it was brilliant. $10 for 5km. $2 per km. Unheard of. This time they provided caps and bussed us to the start of the rowing straight and then we swam around the island. Nice scenery and the rowing lanes can be sighted under water making staying straight a breeze. I whinged about the water quality last time, but actually it’s fine. And compared to the dirt solutions I’ve subsequently swum in – crystal clear. A seriously enjoyable swim. And the race numbers were top notch. As was the bacon and egg roll afterwards!